Korean names are usually three syllables that can be written in HanJa or HanGul characters. The family name comes first and is normally one HanGul syllable or HanJa character. 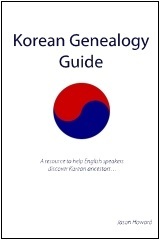 The given name is listed last and is generally two HanGul syllables or HanJa characters. There are rare exceptions to the most common pattern of three syllable names (one syllable family name with a two syllable given name). Some family names are two syllables, and some given names are just one syllable. There is also a small but growing trend of pure Korean given names that don’t have HanJa representations. Children receive the family name of their father. When a woman gets married in Korea, she does not change her name. She keeps her family name, which is recorded in her husband’s family registry. Her children are given her husband’s family name. only written with HanGul Korean letters. What is the korean name for Grace Lovea? I would like to know what’s my name in Korean? (Hajar Ridouane) I have friends from Korea but they find my name in English Hard to pronounce or to understand, can you help me to pick a Korean name? please can you show me how to werite “go woon kim” in korean alphabet. Can you please give me a Korean name in Hangul. my name in English is (bare with me) Adanna Defreitas-Holder. hi! just want to know whats kyu (규) means in hangul.. thanks if you reply me back! Whats my korean name if my name is Jannaiyah? Can someone help me jinja? I was just wondering if you can maybe post a list of Family names and their meanings? I’m trying to create my Korean name and all I’ve been able to come up with is, Ji-Hye (지혜) I know it means wisdom, so I want to find a really nice family name that goes perfectly with my given name. 陈大风 Is my Chinese name so what is my Korean name?? My Chinese name call 陈佩儿. My English name call tan pei er. So what is my Korean name? Hi, I’m Bella and I’m 12. I can’t seem to find a Korean name that means “shell” or has an ocean/sea theme. I’m a Pisces and I couldn’t help but notice that “Bei” (with the downwards marking) in Chinese meant “shell” (although I’m not too sure on that). Can you help me? Hae (해) means ocean and is in some names… Pae or Pei (패, 贝) is a kind of shell (I don’t know, but maybe the Chinese pronouce it bai”) — it isn’t used in a lot of Korean names, but other definitions of Pei are — so I think you could get away with it. Hello. I am looking my father, his name is Yun Gi Sheong from South Korea, The last time that we met is last 2008. I missed him so much. I am a Filipino, my mothers name is Analie Nebril (past away last 2009 also). Please help me to find my father. Thank you. I just want to know what is meaning of my name in korean language..
Can you please create my korean name? How to write “Shin Sung Hee”? And if it has a meaning what is it? Given name is 성희 and can have many possible HanJa for each syllable each with a different meaning. One popular version HanJa version of 성희 is 盛希 which could be translated as “holding hope”. Is there a Korean girl name that means honest or noble heart? How do you write Park Chanyeol in Hangul? As well as its meaning? My boyfriend is Korean and his family name is Park (박). My names Ally and we met at a Bootcamp in the military and recently his sister gave me the name Huyn Jae. She writes it as 박현재 – Park Huyn Jae. What’s the meaning? I’m really curious as to what my Korean name means. Also, which military branch service? I know how to say majority of the service except for Coastal Guard. Military is 군대 (Goon Dae) – Military group. Soldier is 군인 (Goon In) – Military person. Army is 육군 (Yook Goon) – Land military. Navy is 해군 (Hae Gun) – Ocean military. Air Force is 공군 (Gong Goon) – Air/ Emptied military. Marines is 해병대 (Hae Byeong Dae) – [Ocean+Soldier=Marine] Troops. could anyone help me in creating a korean name? if it helps, my chinese name is 洪婵媛 and my english name is charleen. i would really appreciate it if you could help me. thank you very much!! my chinese name is 洪婵媛 and my parents told me that my given name (婵媛) means feminine strength and beauty. i would prefer if you could help me create a name that is similar in meaning, but if you can’t, i don’t mind if you used my english name, charleen, instead. thank you very much for your time and help!! Hello can I know me and my Sister Korean name ? Please help us translate thank you very much ! Hi, my chinese name is 雅美 which means a graceful beauty. I would appreciate it if you guys could help me come up with a korean name. Thank you! Could you help me find a Korean name, please? My actual name is Molli reed and I would like to keep the same initials. I’m not really sure what I would like the meaning to be but I am not too picky about it either. Please and thank you! Hi my name is Grace and I would like a Korean name base on my English name. is Kang Rae Ah have means in Korean? what is the korean for my name? -melmarie jones? Hi i want to know my is my name are weird to have in korea or not? And my givenname is jenni,so it willl be 진 제 니? Hi i want to know is my name are weird to have in korea or not? Hi! What would Geneva Doxi be in Korean? Hi! I was wondering if someone could help me to choose/create a Korean name. My name is Faby (Fabiola), which came from Latin and means ” bean grower”. I would like if my name is related to spring, because I born of March 21 (Spring Day).